Late last year former W.A.S.P. guitarist Chris Holmes released his debut solo album entitled "Nothing To Lose". At the time Holmes promoted the album with a video for the single "They All Lie And Cheat" which he said he wanted to be 'real bad', and there is no doubt he succeeded. Now the famed madman has posted a second, and much better, video from the album for the track "Way To Be". "Nothing To Lose" is a part of the life of Chris Holmes by the lyrics and shows his unique and exceptional talent as composer and guitarist. It is his first solo album and the first one also where he sings, letting us discover a new Chris Holmes. The long-time guitarist composed, performed, and produced the music and vocals on "Nothing To Lose", and also teamed up with former Motörhead drummer Phil Taylor (better known as "Philthy Animal" Taylor) to perform on and engineer the album. "Nothing To Lose" can be purchased as both a physical CD and digital download at www.cdbaby.com. 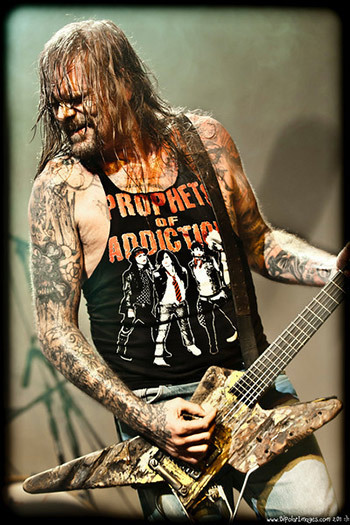 Теги: CHP, Chris Holmes, W.A.S.P.